Kim "Jaehoon" Jae Hoon is a StarCraft progamer from South Korea who played Protoss for Team 8. He also played Protoss in StarCraft II for Jin Air Green Wings before retiring on 16th of August, 2013.. He now plays in Starcraft: Brood War amateur leagues. Amateur gamers don't usually get a chance to show the world their skill on T.V., but Kim Jae Hoon was one of the luckier ones and did manage to. To showcase their 2 brand new maps, Longinus and Blitz, MBCGame showcased a MSL Map Prematch featuring one protoss, one terran and one zerg player duking it out over the 2 new battlefields. The players selected were all amateurs, the protoss being Kim Jae Hoon, terran being 정현식 (Only[S.G]) and the zerg being Lim Jae Duk (zergbOng). He followed up his performances against 정현식 on Blitz but lost to Jae Duk after a failed proxygate. After this impressive showing as an amateur he failed to make an appearance for a while- which of course is expected. In the dying months of 2006 Jae Hoon is building up quite a formidable reputation as a 2v2 player. Struggling to find a suitable replacement for the Kim Dong Hyun/Kim Taek Yong (Saint/Bisu) combination (as Taek Yong was being used as a 1v1 weapon) MBCGame Hero experimented with many combinations eventually settling on Jae Hoon as the preferred protoss for 2v2. Together with team mate Jung Yung Chul (TheZerg) they achieved good results. Including the epic fast expand build on Vampire in a critical set against CJ, and they have also defeated the fabled Lee Chang Hoon/Park Sung Hoon (Sigamari/TT) team which secured a 3-0 of Samsung KHAN. 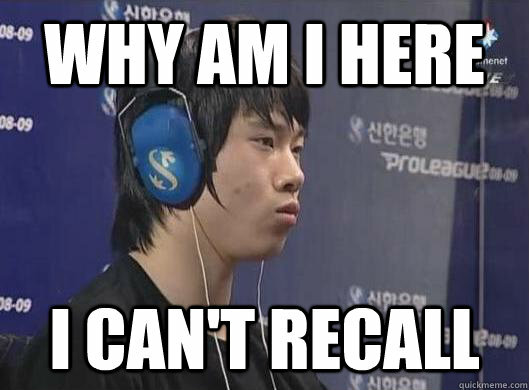 Jaehoon qualified for the EVER Starleague 2009 where he was knocked out by firebathero in the Round of 36. Jaehoon made occasional appearances for MBCGame HERO during round one and two of the Proleague 09–10. He finished with a 1–3 record in the Round One, and a 2–2 record in the Round Two. This gives him a 3–5 record going into the Winners League. Jaehoon is known for dying his hair odd colors, including platinum white and neon purple. When asked about it, he said it was to improve his confidence but commented that it hadn’t worked yet. Jaehoon is sometimes called “Sweattoss” for sweating during his matches.